Study and Research of Sharks Behavior in Mexico. Sharks are predators at the top of the food chain. As a result, their reproduction is very limited so that a large number does not devastate the available prey. Sharks mature at an advanced age and their gestation periods are long (4-24 months). In addition, they have limited number of young (1-12 on average). A live shark generates more profits than a dead one. In a destination like Baja California Sur, protecting these species is essential. 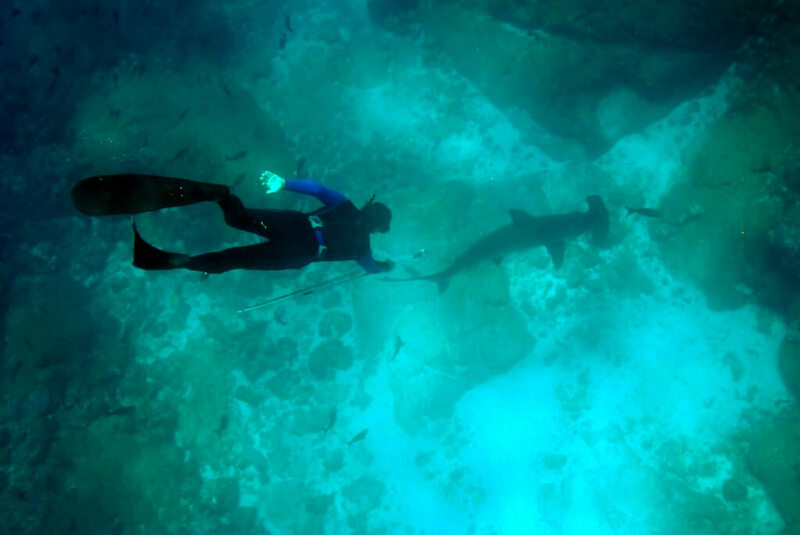 Diving and swimming with sharks is a unique tourist attraction. At the same time, this activity produces a large local economic benefit in hotel rooms, transportation, restaurants, and more. We spent 15 years working and researching the marine ecosystem with a focus on large open water species, particularly sharks. We want to dispel the myth that sharks are bloodthirsty animals. The recorded percentage of shark attacks is very low compared to dog bites or insect bites. In the last 130 years, it’s estimated that an average of two shark attacks occur each year. Humans do not live in the wild and therefore are not part of the shark’s natural menu. We realized that the only studies of the basic biology of these animals took place when they were already dead. We believed it was necessary to protect them to learn more about their behavior, local movements and migrations. There are 104 recorded species of sharks in the Gulf of Mexico, and Baja California has one of the best places in the world to dive with sharks: Cabo Pulmo. This site is now a National Marine Park and a refuge for sharks. It contains 11 species of sharks including the Galapagos shark, blacktip shark, bull shark and whale shark. 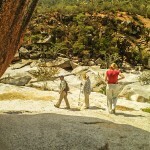 Adventure tourism requires responsible management and control of the resource. 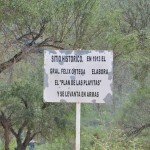 At present, we are working with other organizations and the Commission of Natural Protected Areas on the development of a “Good Practices Manual” for responsible swimming with sharks in Cabo Pulmo. Good practices are essential for the conservation of the most spectacular marine ecosystem in California. Mauricio Hoyos has been interested in sharks since childhood. He studied Biology at the National Autonomous University of Mexico. 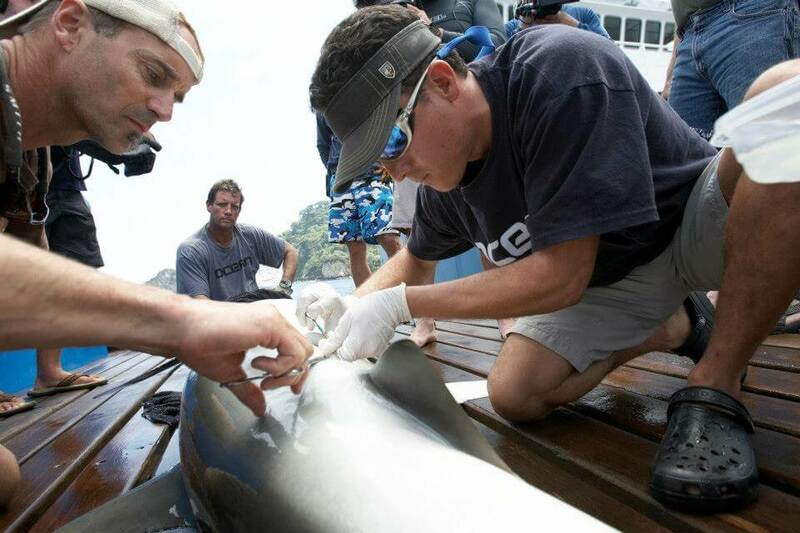 He met James while earning a Masters and Doctorate in Marine Sciences at the Center for Marine Sciences-IPN. 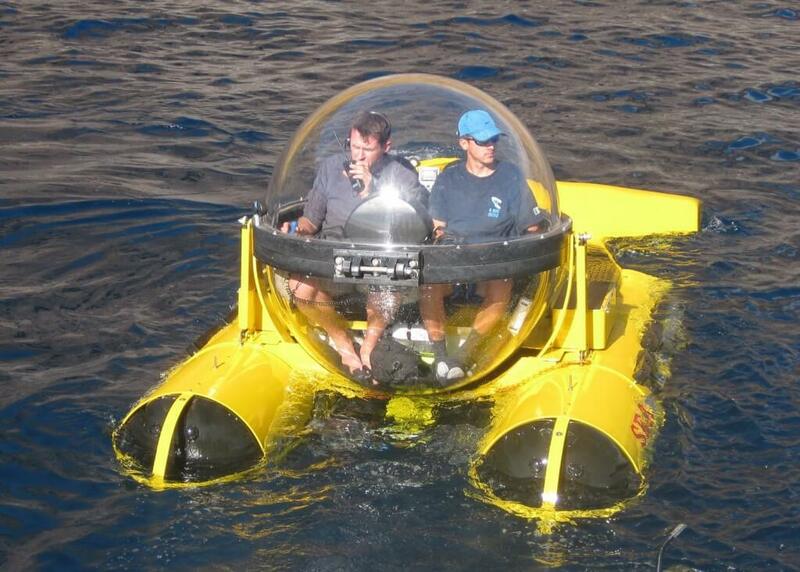 James Ketchum studied Marine Biology at the Autonomous University of Baja California Sur and earned a PhD in Ecology at the University of California, Davis. 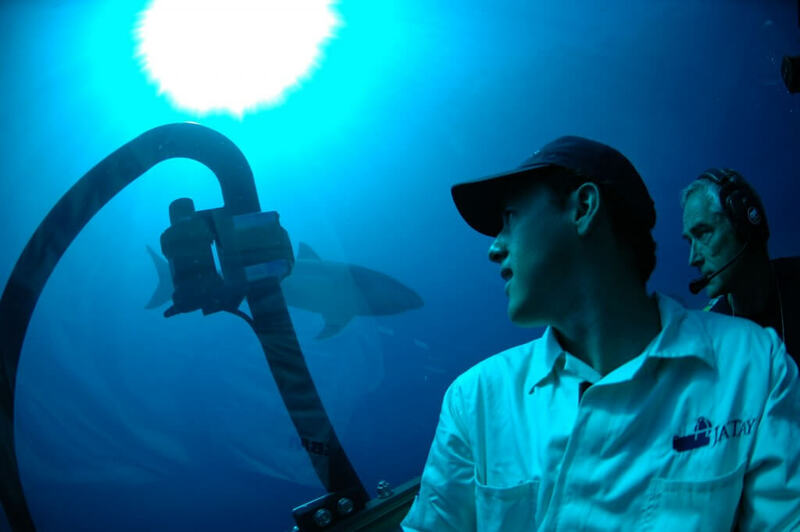 His fascination with sharks began when he took a job as a dive guide in La Paz. 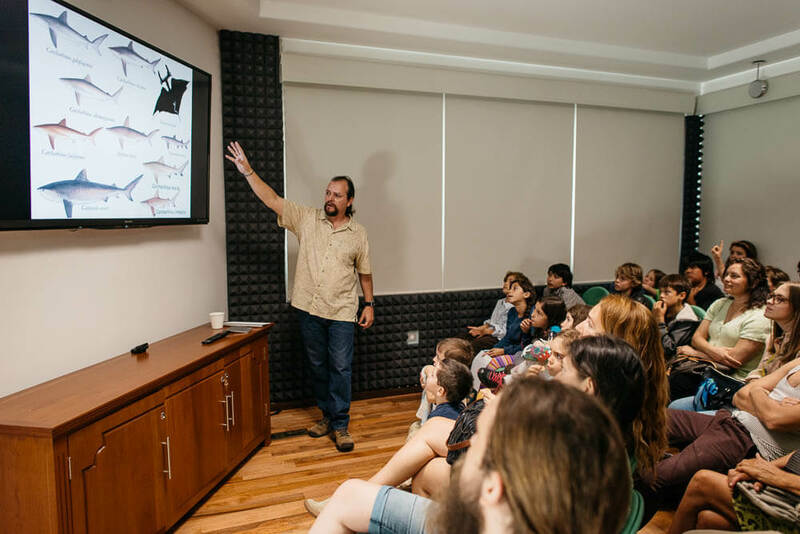 Together they started an organization to study the behavior and ecology of sharks in Mexico, called Pelagios Kakunjá, A.C.